SYU (guitar) originally formed GALNERYUS, and activities were mainly in Kansai region of Japan. 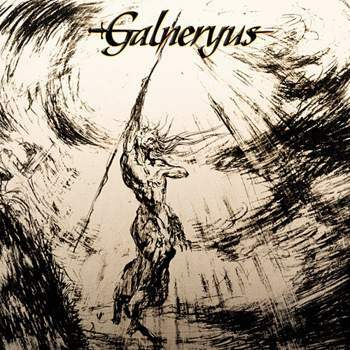 In 2001, GALNERYUS made a fateful encounter with the producer, Yorimasa Hisatake. In the next year, their debut single, “REBEL FLAG” was released through the independent label, IRON SHOCK. In 2003, YUHKI (keyboard) joined and the band became more stabilized and well-organized. In the same year, the first and the major debut album, “THE FLAG OF PUNISHMENT” was released through VAP, a record label. 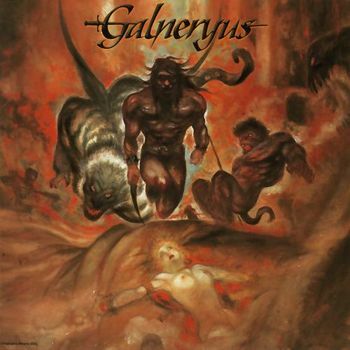 The quality which GALNERYUS demonstrated in this album was way beyond what was expected from that of a newcomer. 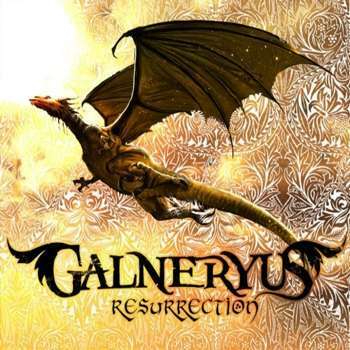 In 2005, the second album, “ADVANCE TO THE FALL” was released, and the next year, GALNERYUS released the third album, “BEYOND THE END OF DESPAIR…”, and also their first DVDs, “LIVE FOR REBIRTH”. The quality of performance they showed in this DVDs is not just as the reproduction of studio recorded sound, but highly energetic live performances as well. In 2007, the fourth album, “ONE FOR ALL-ALL FOR ONE” was released. In 2008, the second DVDs, “LIVE FOR ALL-LIVE FOR ONE” and the mini-album, “ALSATIA/CAUSE DISARRAY” and the fifth album, “REINCARNATION” were released. 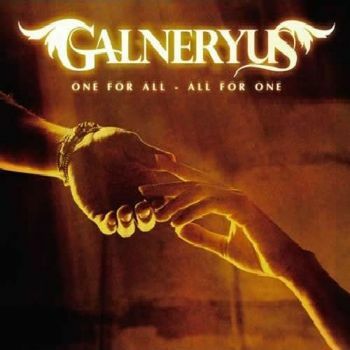 In 2009, two “best of” albums, “BEST OF THE BRAVING DAYS” and “BEST OF THE AWAKENING DAYS” were released which was not too much to say as the complication of GALNERYUS so far. 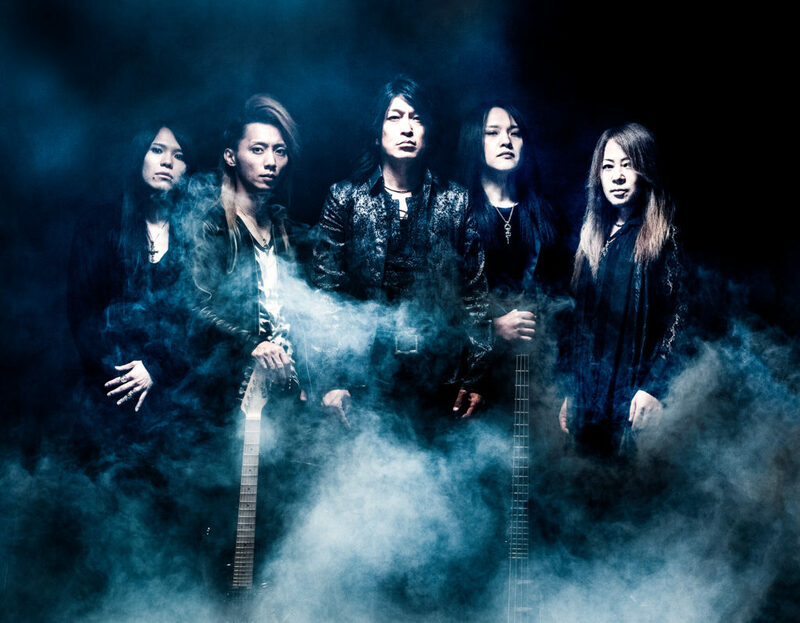 Syu In 2010, the sixth album, “RESURRECTION” was released. This album was the first album after Masatoshi “SHO” Ono, a vocalist with the career as a Million Seller and TAKA (bass) joined the band. From this album, the song called, “A FAR-OFF DISTANCE” was used as the ending theme for anime series in NTV chain, “Rainbow -Nisha rokubo no Shichinin-“. In addition of the popularity due to this, tremendously high quality of their music renowned excellence of the new line-up. The tours around Japan took place commemorating the release and the final performance at SHIBUYA AX was recorded and released as the third DVDs, “LIVE IN THE MOMENT OF THE RESURRECTION”. 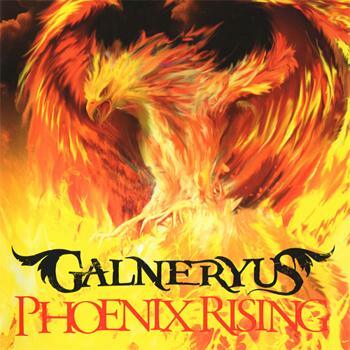 With gaining vigor, the seventh album, “PHOENIX RISING” was released in 2011. In 2012, the mini-album, “Kizuna” and the fourth DVDs, “PHOENIX LIVING IN THE RISING SUN” was released. In that mini-album, the title track, “Kizuna” was used as a theme of pachinko game, “Pachinko CR Fist of the Blue Sky”. In July of the same year, a new single, “HUNTING FOR YOUR DREAM”, used as an ending theme for an anime series in NTV chain, “HUNTER × HUNTER”. Under the circumstance that the degree of attention paid to the band had been strongly encouraged, their long-awaited eighth album, “ANGEL OF SALVATION” was released, and that caused their popularity expanded even more. The sales of this album reached the ninth position in Oricon daily chart. And, the sales recorded one of the top class among all Japanese hard rock and heavy metal groups playing in recent years. In the year of 2013, a wide variety of activities was held under the name “MAJOR DEBUT 10th anniversary”. 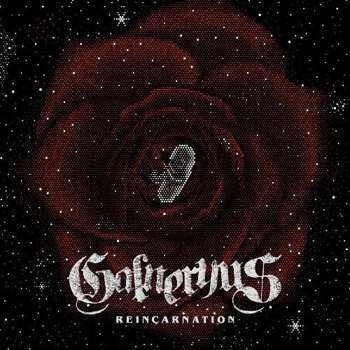 Two self-cover albums re-recorded the songs from the past lineups era, (“Vol.1: THE REGENERATION SIDE”, “Vol.2: REFORMATION SIDE”) were released. Performed at Ozzfest Japan 2013, and achieved to perform in Asia. The concert held in October at Shibuya Public Hall, for their first time, was sold out excellently. The concert at Shibuya Public Hall was filmed in “RELIVING THE IRONHEARTED FLAG”, released in 2014. 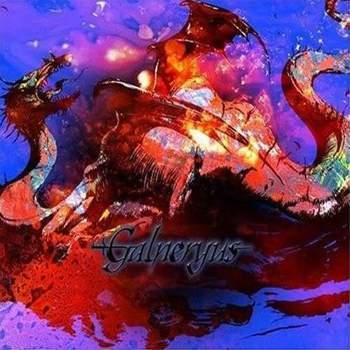 GALNERYUS ventured out their first European tour in July of the same year. They drew audiences totaling 2,000 people in three countries: Germany, France, and Spain. They proved that their attraction has reached worldwide level. 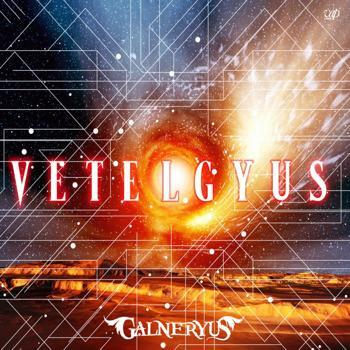 Without losing their momentum, they released the ninth studio album, “VETELGYUS”. As a sale commemoration, a large-scale tour, “THE VOYAGE TO THE BOUNDLESS UNIVERSE” was held. The final day of the tour, held at Shibuya Public Hall was sold out again (recorded in a video work “ATTITUDE TO LIVE” which was released in 2015). On December, “ATTITUDE TO LIFE” was sold as single cut by single CD due to the promotion of the song to an ending theme for an anime series in NTV chain, “Donten ni Warau (Laughing Under the Clouds)”. In 2015, the band started to create their first suit album in their history, “UNDER THE FORCE OF COURAGE”. Just after the completion of the album, they performed at “LOUD PARK 15” and threw the whole house into a state of feverish excitement. After the band carried out the tour, “THE TIME BEFORE DAWN” which includes the concerts in Shanghai, HongKong, and Taiwan, “UNDER THE FORCE OF COURAGE” was finally released in December of the same year. Because of the excellence and the beauty of how the songs are composed and dramatized, the album received the highest evaluation ever and, “JUST PRAY TO THE SKY” tour was held. The concept of the tour was reproducing the world view of the album completely at the live concert and the band performed excellently throughout the tour. In September 2016, a new video work, “THE SENSE OF OUR LIVES” was released. In November, a new drummer, FUMIYA joined the band and a new national tour, “UNBREAKABLE” was held. The new line-up of the band was greeted enthusiastically through out the tour including the concert in Mexico. 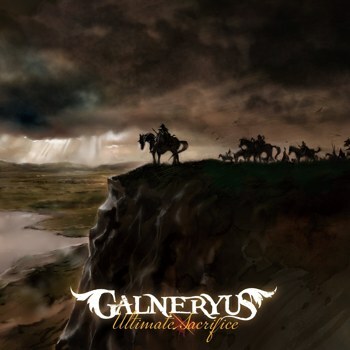 In 2017, GALNERYUS moved from VAP to Warner Music Japan and released a long-awaited new album, “ULTIMATE SACRIFICE” in September. This album is the second suite album which drew “the world after” the previous work, “UNDER THE FORCE OF COURAGE” and recorded an evaluation and sales surpassed the previous work. Taking advantage of that circumstance, a Japan tour, “JUST PRAY TO THE SKY Chapter II” was held. In April 2018, a new video work, “JUST PLAY TO THE SKY -WHAT COULD WE DO FOR YOU…?” was released. On this video work, the final concert of that tour held at Toyosu PIT was recorded. As the commemoration of the release, a Japan tour, “PLAY TO THE FORTHCOMING FUTURE” TOUR 2018 was held. In that tour, they performed the overwhelming volume that interlaced old and new famous tunes. 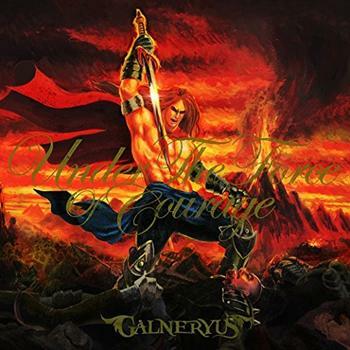 From October 2018, the “GALNERYUS 15th Anniversary ～Radiance～” project will be celebrating the 15th anniversary of the first album. 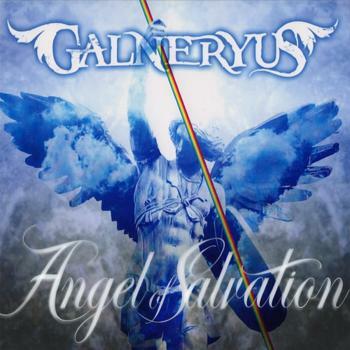 Stay tuned here, GALNERYUS has a lot more to offer, including the participation at “ProgPower USA 2019”, a long-awaited new album and thrilling live performances!